Brooks' marketing pitch: A lightweight shoe with a touch of support. Upper: Closed mesh, synthetic leather, fused urethane layers, midfoot strap. 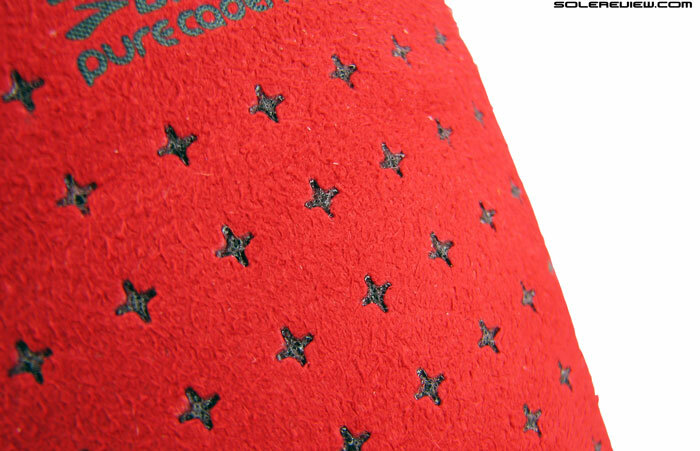 Midsole: Compression molded EVA blend. A lightweight shoe with a breathable, roomy forefoot, and a ride which is cushioned enough. The tongue moves around a lot, which also needs some breaking in. Flow, Connect, Cadence, what is the difference? It is always fun reviewing two shoes with minute levels of differences. It is not as easy as comparing shoes with larger functional chasms, but the process of letting the feedback come through to the surface during wear tests is certainly more engaging. A case in point would be the Brooks PureConnect 4 and PureCadence 4. Part of Brooks running’s lightweight assortment (which also includes the Pureflow 4), these models share a similar look and feel, yet are separated by distinctive character traits. The (three) Pure series shoes look similar, but come packed with quirks of their own. The PureCadence 4’s goal is to be the most supportive of the Pure Series trio, with the cushioned PureFlow 4 at other end of the spectrum. The PureConnect 4, as you might know, sits squarely in the middle. You might wonder where the PureGrit’s place is in all this, but we’re limiting our conversation to road-going versions only. ‘Supportive’ is a word we use in relative terms, and not to be viewed with the traditional lens of motion control footwear. The lines of separation between the Pure Project models are not deep; at best they are a vague outline and the shoes end up with overlaps in some areas. In this narrow assortment, Cadence is the most ‘supportive’. Let’s take the PureConnect 4 and PureCadence 4 for comparison’s sake. Cadence is meant to be the more ‘supportive’ of the two, and yes, it does feel so when it comes to midsole construction. But train your sights on the upper, and the reverse comes to be true. The PureConnect 4 has design elements on its upper which bests the Cadence in the arch support department, so the net result is a bit of a give and take. Like the other two shoes, the Nav band strap appears on the Cadence too, with a different treatment. Like what? The ‘Nav band’, for instance. All three models feature this semi-elastic strap which wraps around the midfoot, but there are different versions of it depending on which Pure shoe you bring home. 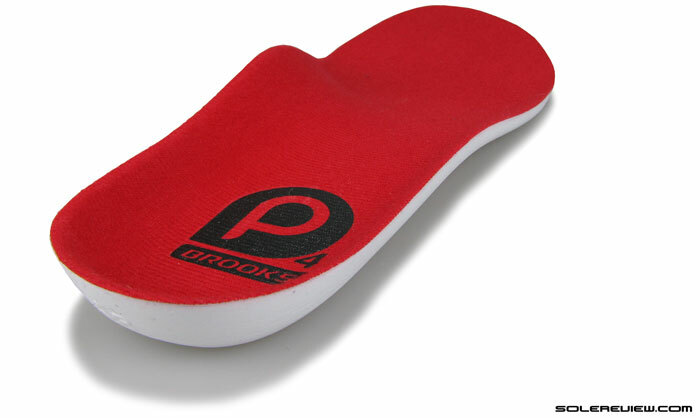 The PureCadence 4’s strap has a uniform width on lateral and medial sides. PureConnect 4 has a slightly different take on the Nav band. 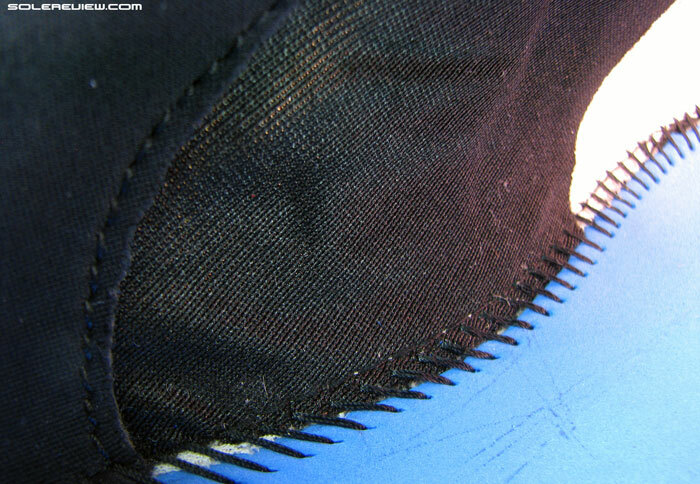 Instead of being uniform in dimension, it is thin on the lateral and top part, but transforms into a much wider, three strap design on the medial side. What does that do for the PureConnect 4? It makes the upper much more effective in delivering under-arch ‘hug’ or support, and it is helped by an insole with a higher arch flare. When these two work together, arch support happens. At a much higher level than Cadence 4, that is. To see the complete picture, we need to switch gears and head over to the Cadence, so let’s do just that. The PureCadence’s Nav band dimension is symmetrical on both medial (shown here) and lateral sides. 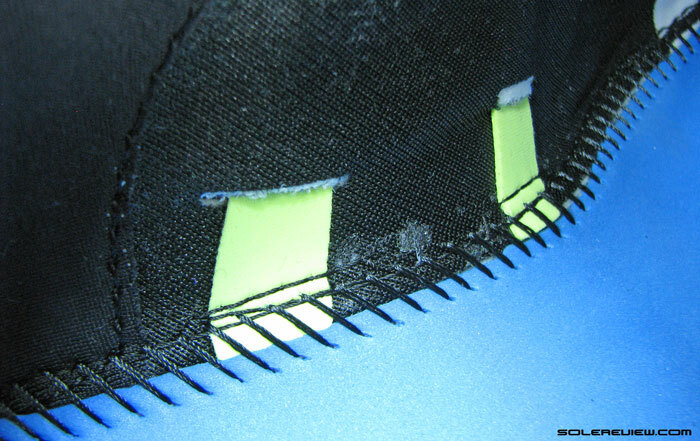 The lining covers the medial side of Nav band strap. Contoured insole, but lesser arch flare than Pure Connect 4. The PureCadence has none of the two factors we just talked about. The Nav band does not split Hydra-like into three mini-straps under arch, neither is its footbed molded as high as the Connect 4. The effects of this design variation are rather easy to deduce. The Cadence 4’s upper isn’t as supportive as Connect 4 when it comes to arch support. 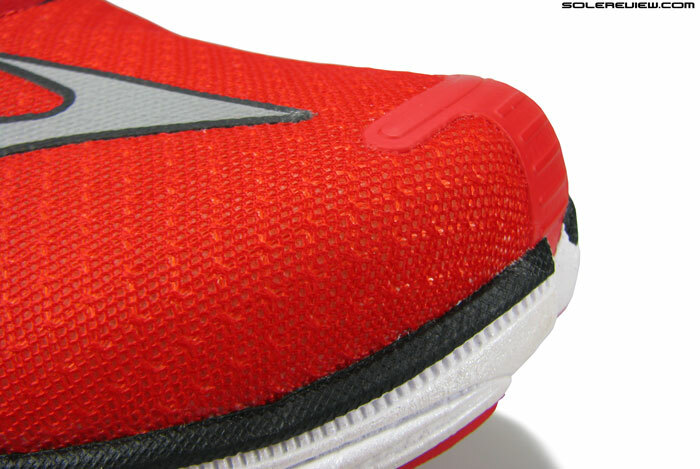 Under the insole, the lateral end of the stretch band peeks out. Lower level of upper arch support isn’t without its silver lining. The Nav band of the Connect 4 felt like too much of a good thing, and Cadence’s moderation of the stretch strap helps the latter blend into the upper without being conspicuous during runs. 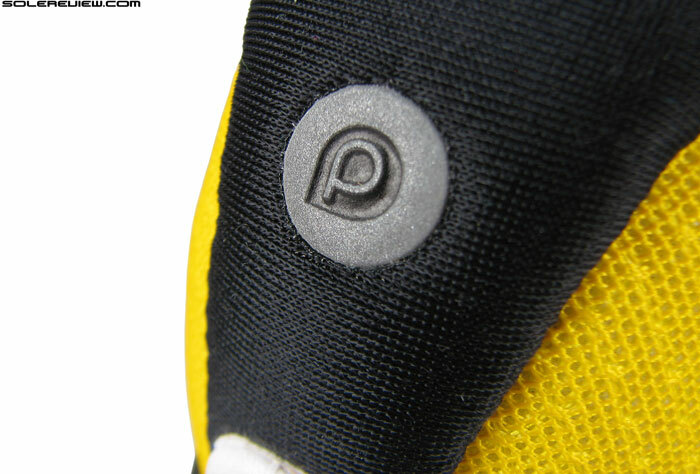 But the PureCadence’s real play in its midsole design, which is designed to offer a higher level of support. Brooks does say that all PureCadence offers is a ‘touch of support’, and that description is proved correct once you’ve had a few runs in them. The shoe is supportive from a level comparison with shoes such as the Connect, but lightyears away from how motion control heavyweights behave. What the Cadence does is to center the heel better from a Pure Project perspective, and chief architect of that effect is the manner in which the midsole sidewalls are designed. 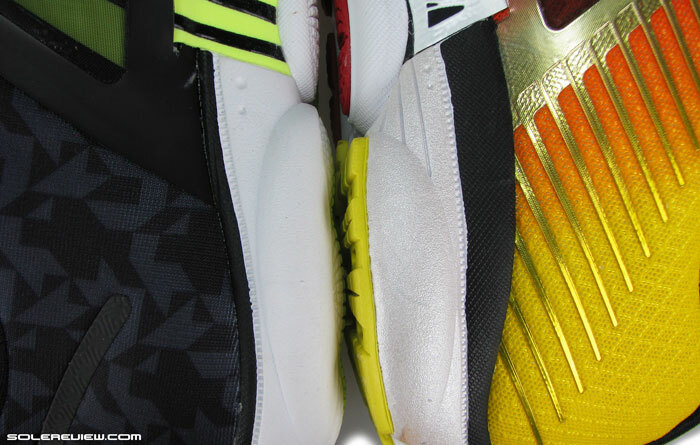 The PureCadence 4 (right) has a higher midsole wall flare compared to PureConnect 4. The Cadence 4’s midsole carries signature Pure Series aesthetics, yet is molded with higher edges on the medial (arch) side. This backs up Brooks’ ‘touch of support’ claim, as it helps cradle the foot better. Look at the side, and a distinct flare is visible, starting from the heel and going upwards towards the arch area. This is similar to what Transcend does, except that the walls are lower here. This does make an impact; while something like the PureConnect was definitely neutral with a natural level of heel roll, the Cadence 4 medial sidewall feels far more supportive. 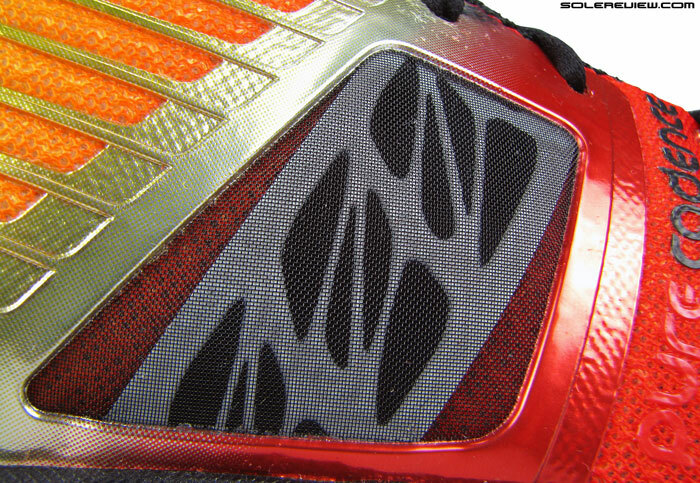 This is the medial side of the midsole heel. It juts out a bit and works as a stabler base. The gloss is paint, an old Brooks trick. 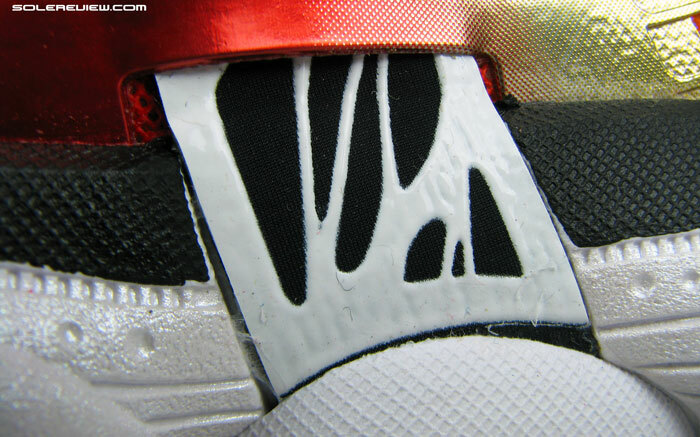 The forefoot midsole has a minor outwards flare. Apart from this design element, there’re a couple of things worth having a look at when speaking of support. The heel midsole flares out on the medial side, creating a stabler base to plant your foot on. 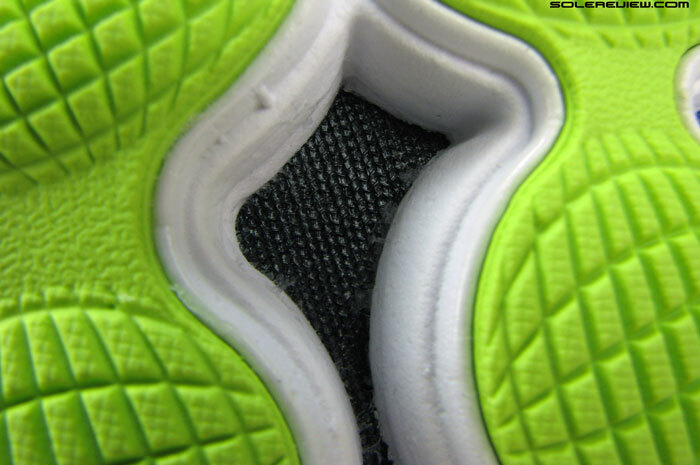 The forefoot midsole also spreads out medially, finishing what the heel started. We haven’t run in the PureFlow 4 yet, so we’ll reserve our judgement till we do. But throw in the PureConnect 4 for a cushioning shoot-out, and a few details emerge. The Cadence is still cushioned and responsive, but feels firmer compared to the Connect. It is like some of the Connect 4 squishiness was wringed out of the midsole, leaving behind a slightly less padded version of itself. And that is strange, somewhat of a paradox, actually Because the foam density between the two isn’t noticeably different, and the Cadence actually has more foam. And yet the Connect feels softer. We’ll dive into the reason(s) in a while. 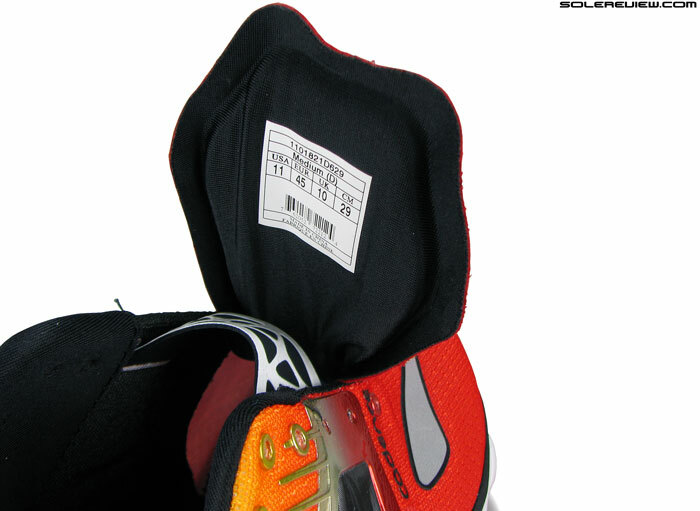 A filled-in midsole, with full contact rubber outsole. Heel crash pad is not as articulated as the PureConnect 4. A faux split toe. 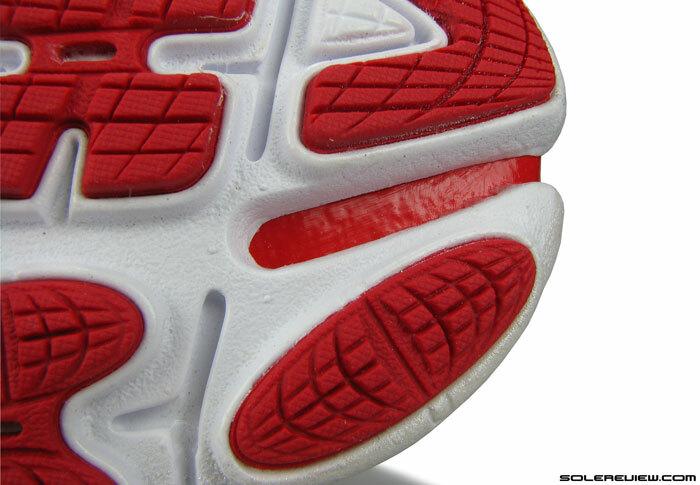 The red urethane in the crevice extends to become the forefoot overlay. There’s plenty of rubber on the outsole below. Under heel area is overlaid with soft rubber in plenty, and then that execution continues through the midfoot and onwards to the forefoot. The midfoot area has two oval shaped rubber pods – an ode to Brooks’ podular design which made landfall in late 90’s – and the forefoot is a mix of flat and oval pieces. The tip features the faux ‘split toe’ design seen since the Pure Series’ inception, which serves more as a visual placebo than anything else. 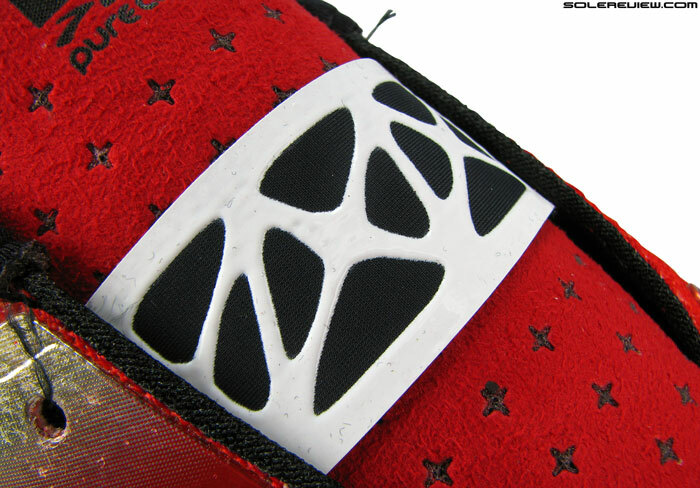 But rest of the midsole is filled in with foam, with none of the mesh windows featured on the PureConnect 4. 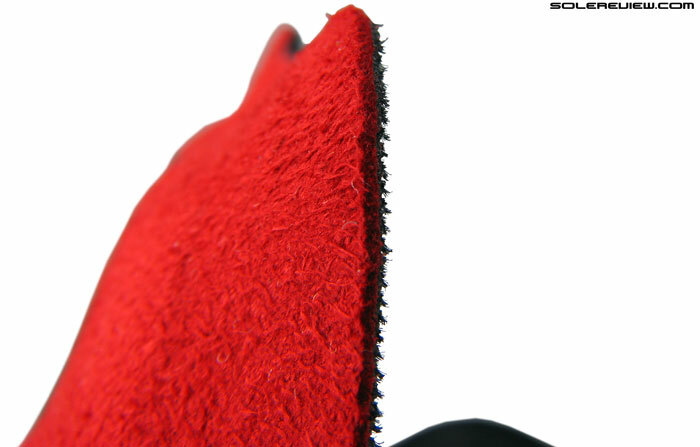 Heel has a rounded bevel for better transitions. The PureCadence 4 might not deliver the ground feel of the PureConnect 4 (in hindsight, an appropriate choice of name), but transitions come smooth and effortless. The heel has an effective, rounded bevel which helps ease foot-strikes; heel to toe loading is aided by the near uninterrupted placement of outsole rubber producing full ground contact. 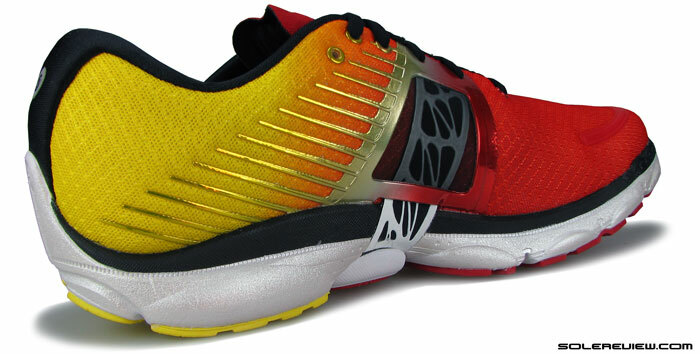 The forefoot is firm and with a low toe spring, and will find favors with runners looking for that kind of feel. Others, who seek better communication with the road they’re running on, will find the more tactile PureConnect 4 a better friend. The outsole rubber is thicker than what’s on the Pure Connect 4. We’re going to spend some time talking about the Cadence’s cushioning with respect to Connect 4’s. Despite more foam, a couple of other factors swing the ride experience towards the firmer side. Look closely at the pieces of rubber, and the realization comes quickly that they are thicker than those on PureConnect 4 – and also with increased coverage over medial heel. 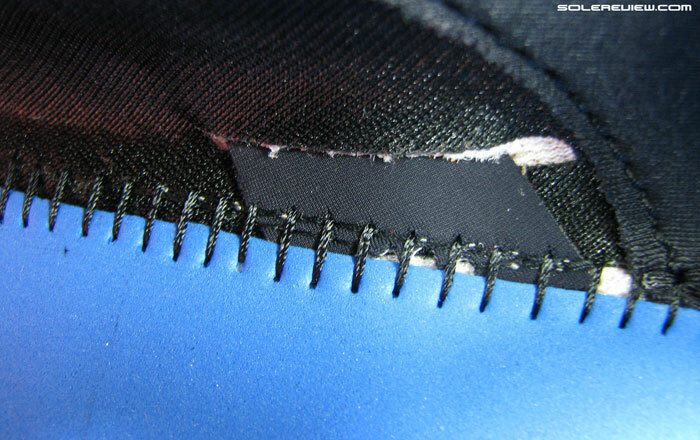 Secondly, the rubber under the heel area is one groove less articulated than Connect 4. Bigger pieces mean a lesser range of flex, which in turn translates into a lesser feeling of give. 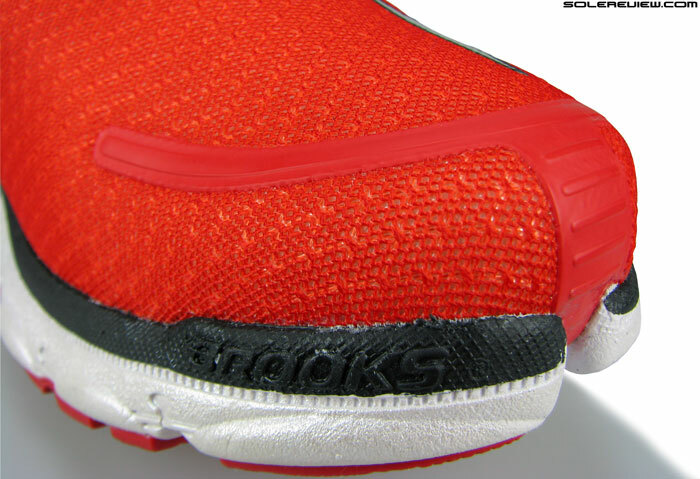 Like the PureConnect 4, Brooks does put up a disclaimer about lower outsole durability . Regardless, the rubber grips extremely well and is silent during foot-strikes and transitions. That is usually the trade-off, grip vs. outsole life. Personally, we’d choose traction over a longer outsole life. But given that the rubber overlays are thicker than a shoe like the PureConnect, the Cadence should do relatively better. Structural support is a theme which not only runs through lower parts of the Cadence 4, but cuts through the upper too. The visual scenery echoes familiar Pure Series lines, cuts and stitches, but there’s a bunch of going-ons which lend the Cadence its distinct personality. Begin at the tip, and the toe-box design merits devoting a sentence or two. An overlay of heat fused urethane wraps around the medial toe area, extending from where the faux split toe is. The fused half-prong on the forefoot achieves a couple of things. During runs, the medial toe is indeed supported by this component. Some runners might like it, and others might interpret that to be invasive. Personal opinions will surely vary here. Apart from this, the fused overlay creates a well defined, rounded toe-box shape, and not entirely limited to achieving an aesthetic result. It affects the sizing too. 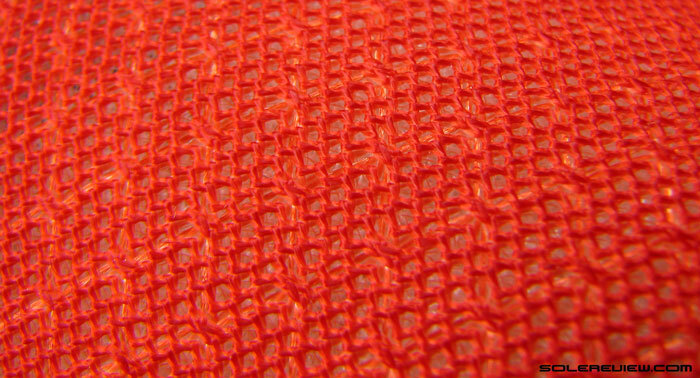 Upper mesh is breathable, yet not as soft as the PureConnect’s. We were testing the Cadence and the Connect 4 together, and the Cadence is much more roomier in the toe area. 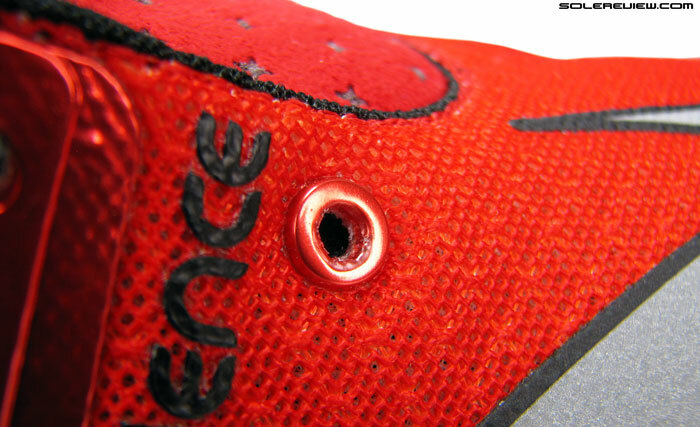 This is what the Cadence toe box design does. The front of Connect 4 is a bit slope-y with a higher toe spring, which eats into space. Not so in the Cadence 4. The internal toe bumper, mated to the mesh with its overlay, opens up room around the toes. The extent of this difference can stretch to a half size difference for runners, depending on individual foot shapes. Also digest the fact that the PureCadence 4 lacing starts fairly late stage, which allows for a greater area of forefoot not under lacing pressure. 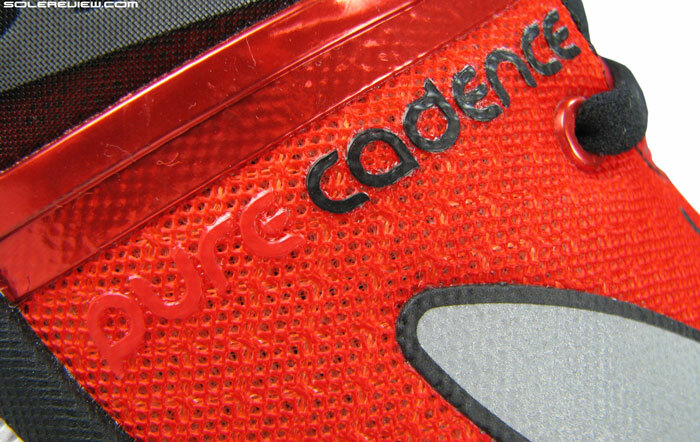 Talking about laces, the Cadence uses wide, stretchy, flat-tubular type. How wide? To put it in numbers, approximately 40% so than the thinner PureConnect 4 laces. The front’s pretty bright at night, yes. As on cue, other sections exude an aura of firmness. 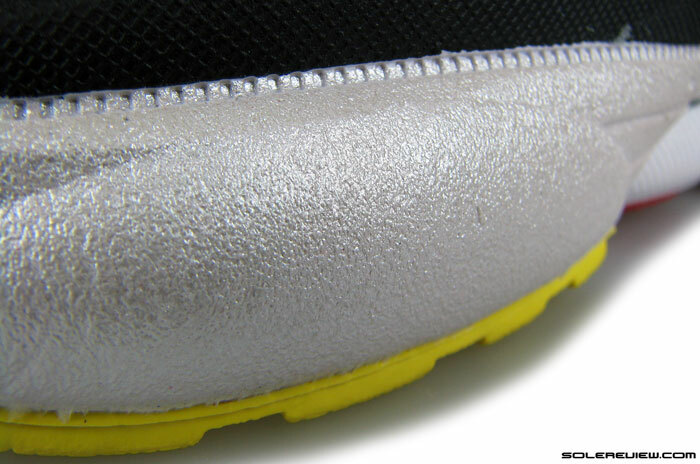 The reflective logo on forefoot is jumbo sized and metallic silver in color, meaning more shine-back at night. The heel’s luminosity is restricted to the size of a wristwatch battery, not much to show for there. The forefoot logo is bigger than what you might find on the Connect 4, and this makes the top stiffer. Upper midfoot is visually paused by the mesh window showcasing the ‘Nav-band’, and here’s where the Cadence 4 gets some of its bling too. The fused urethane around the window has a metallic gloss with a red-to-gold color graduation. It extends into a fishbone kind of shape on the rearfoot, thin lines fused on mesh and stretching towards the heel. The eyelets have similar design and functional tints, molded and metallic circles fused to the upper mesh. 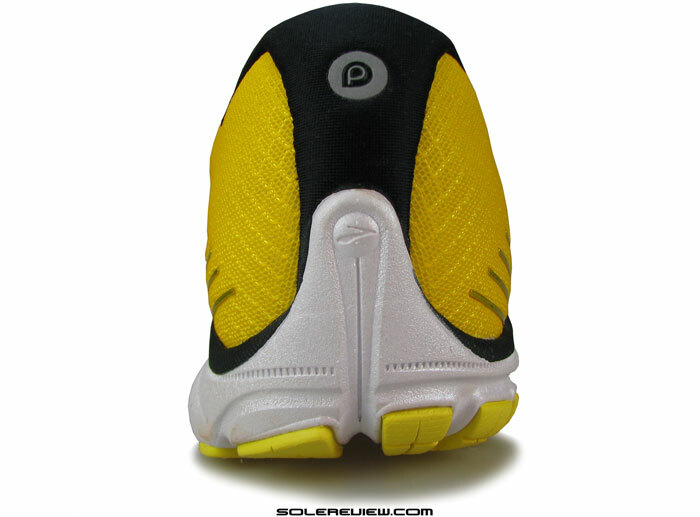 Tongue has no side gussets, and is narrow (vs. PureConnect 4) across its widest point and across the top flap too. There is a significant amount of tongue slide. Perforated synthetic suede, but of a firmer variety. The Cadence 4’s tongue is somewhat of a mystery, and we say this given our experience with Pure Connect 4. For starters, the tongue is around 5mm narrower across its widest point and also at the lip. And the material used, while it is synthetic Suede, is of a firmer variety. Two things happens as a consequence. The synthetic suede edges are firm and tend to poke in. Requires some break-in time, like a pair of black and brown shoes. Tongue slide is extreme on the Cadence 4. Less width means more space on either side for the tongue to slide into, and that’s precisely what it does. Also, the stiffer material does not sit as well as the softer tongue on the Connect, and hence speeds up the sliding process. 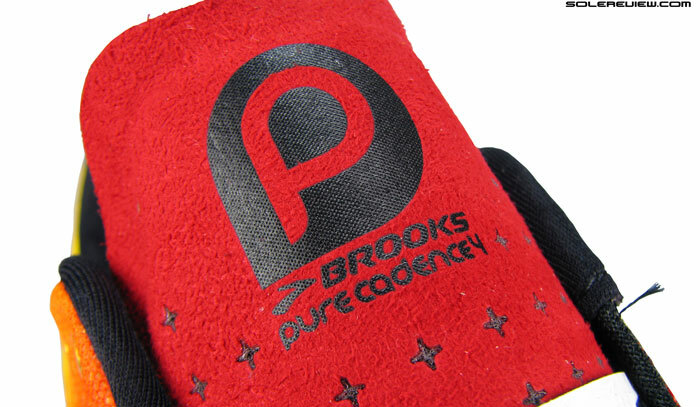 Brooks should have kept the same tongue as the PureConnect 4 – this design spin was totally unnecessary. Firmer flap also means that you will feel the tongue pressing down on your foot. The tongue will eventually break-in as the suede softens up, but why complicate things in the first place? Heel part is typical Pure Project. 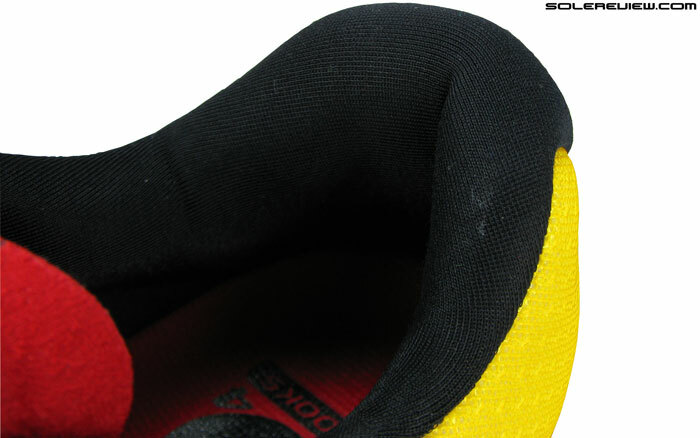 Collar mesh of a Neoprene-ish texture stuffed with foam, soft Achilles dip, and an internal heel counter which gives the rear a solid shape and structure. The overall sense you get from the PureCadence upper is skewed towards a slightly over-engineered feel, and less of comfortable plushness. 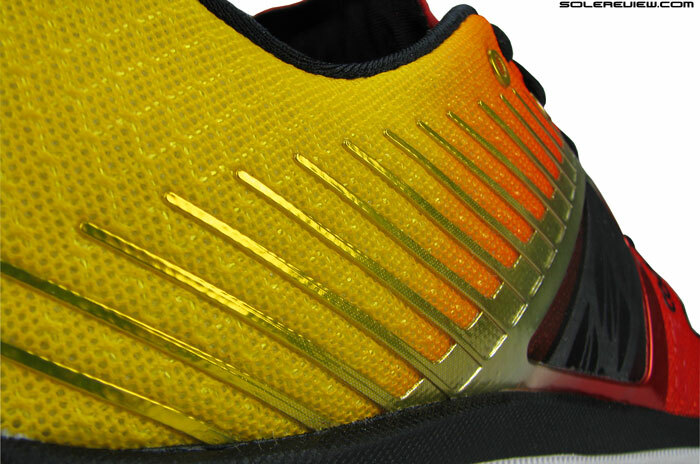 The forefoot’s roomy with area for splay, but accented with stiffness (molded overlays, that’s why). The tongue is firm, which comes in the way of cocooning midfoot wrap. The sockliner is similar to what sits on the PureConnect, except that the fabric is not as nappy or soft. 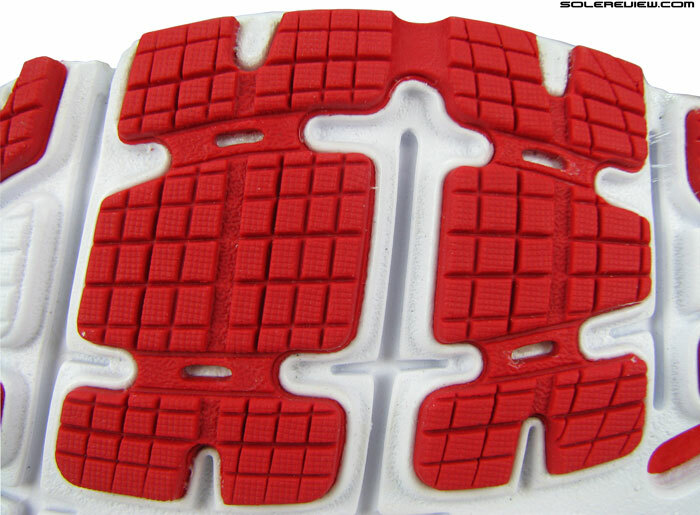 The midsole is cushioned, though the outsole design and thickness makes the sum padding feel firm. And perhaps it was meant to be like this. Otherwise, how would you differentiate the closely related members of the PureProject family? And there you go. The unreviewed-but-will-soon-be Pureflow 4 represents the highest level of Pure series cushioning, the PureConnect 4 pleases those who crave a more tactile running experience, and the PureCadence is a firm riding lightweight, with a tongue having a mind of its own. And the price? $110, $100, $120 respectively. Out of the three, Pureconnect comes closest to the Nike Free 4.0 Flyknit! Thank you for this wonderful site and all the tests !! So far I was running with brooks adrenaline gts 15 but I changed my stride (heel to midfoot). I now use the Brooks pure cadence 4 for the majority of my training (until 1:30 for now), i love them ! But for long outings, the half marathon and the marathon I do not know which model to choose … 4mm drop me entirely appropriate to (12mm for adrenaline bother me now.) I’m big 1m87, 80 kg with a small level (2h on semi). I love Brooks but I am open to other brands (Saucony, New Balance, Asics, Hoka …). Sorry for my poor English i’m french ! You could consider the asics ds trainer or the saucony mirage, or the new balance 870v3. Out of these four (the pure cadence included) I prefer the mirage, but I could race a marathon in any of these four and be totally fine. the mirage is a 6 mm drop with the insole in, even though they market it as a 4mm drop shoe. 870 is 8mm and ds trainer is 10mm. Hoka doesn’t have a stability shoe except for the constant, which is pretty heavy. Thank you for your answer ! I’ll look at the Mirage. The others seem just a little cushioning in the forefoot … It’s been three months since I changed my stride and I hesitate to run my half marathon in 2 months with pure cadence. So for a marathon I still have a job! If it’s more cushioning you want, then within the 4mm drop range, you could try the Asics 33 FA, Nike Lunar Launch and Hoka Huaka. Wouldn’t worry about sticking with ‘stability’ shoes, these models are supportive enough. Steve has some more recommendations below. In fact I have no need of such supports today ; attacking forefoot it becomes superfluous, I mainly need amortized under the forefoot now. The 33 AF please me most warmly the test ! If I go to a slightly higher drop I like the Transcend Brooks, Saucony Ride 7, Triumph iso, adidas supernova glide boost, hoka Clifton, NB boracay … These models are suitable for my weight and a marathon in about 4h30 ? We would choose the Saucony Ride 7, adidas Glide Boost, Hoka Clifton and NB Boracay for relaxed, long runs. Hi, I am very active runner with a midfoot strike. 5’11, 140lbs I have been running in mainly the pure cadence’s as well as the other two pure series shoes for the past several years. I was curious to know if there are other shoes in different brands that work just like the pure cadence’s. I tried running in the adidas glide boost before and it killed my shins/lower half of legs after a week of running in them. 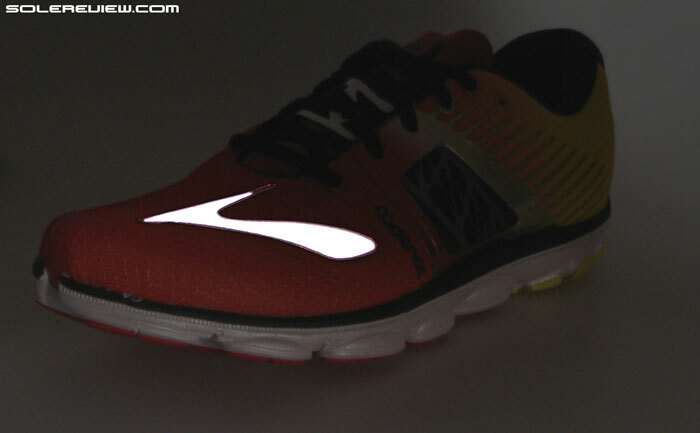 It would be nice to have the same 4-5mm drop in shoe as the cadence’s and have more cushion than them too. Something that would last longer due to high mileage and still be great for longer runs, around 10-15 miles daily. What do you suggest? Great website and reviews. 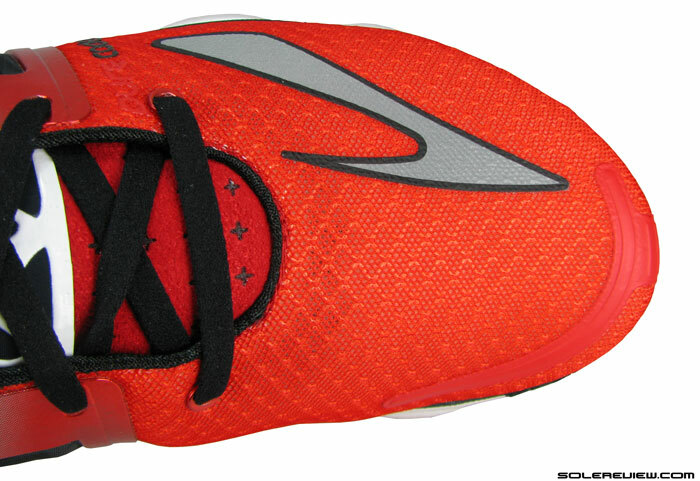 We’d look at the Skechers GoMeb Speed 3. Similar in some ways, different in others, but whether you like them or not – a purely subjective take. Our other suggestions would be the New Balance 1500 V1, Fresh Foam Zante – both 6mm heel drop. im having a hard time finding replacement for my p1 cadence. i tried fitting p4, but unfortunately, ut feels narrower in,the midfoot. 🙁 i love the low heel to toe drop, allowing me to run fast. thank you.